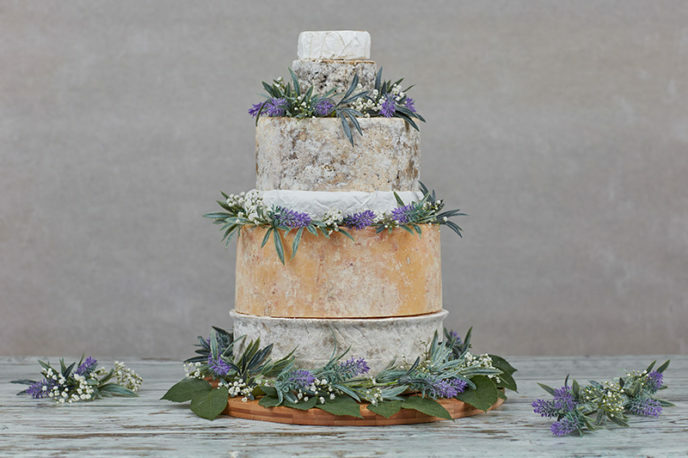 If you and your partner aren’t big into sweets, I don’t think it’s cheesy to toss out a cake for a tower of decadent cheeses. In fact, you don’t even need to limit yourself to cakes. 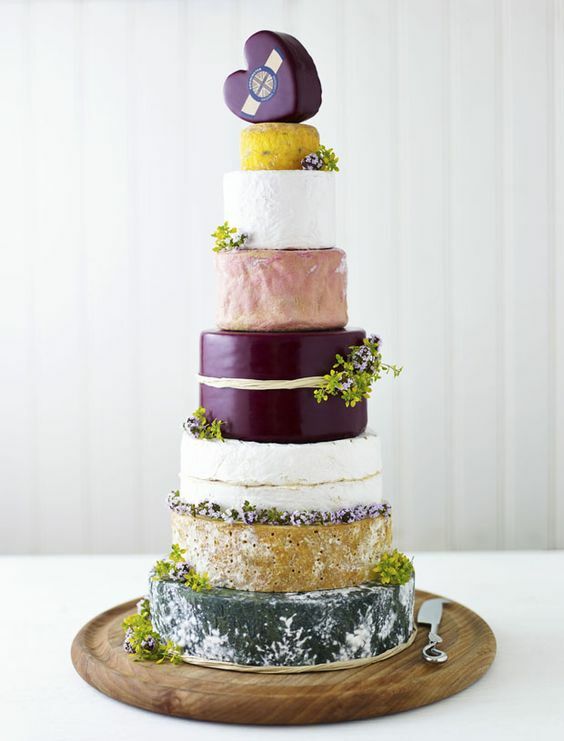 Think outside the confectionary box! 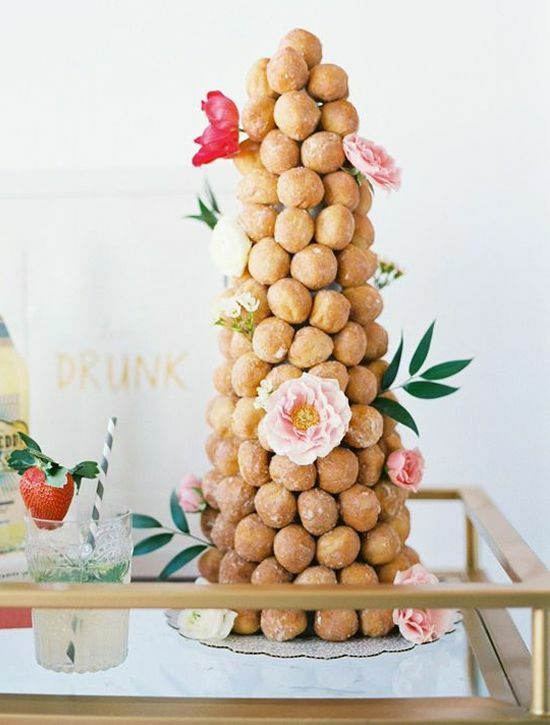 What about a pretty tower of macaroons from Anges De Sucre? Or, a tower of cupcakes? 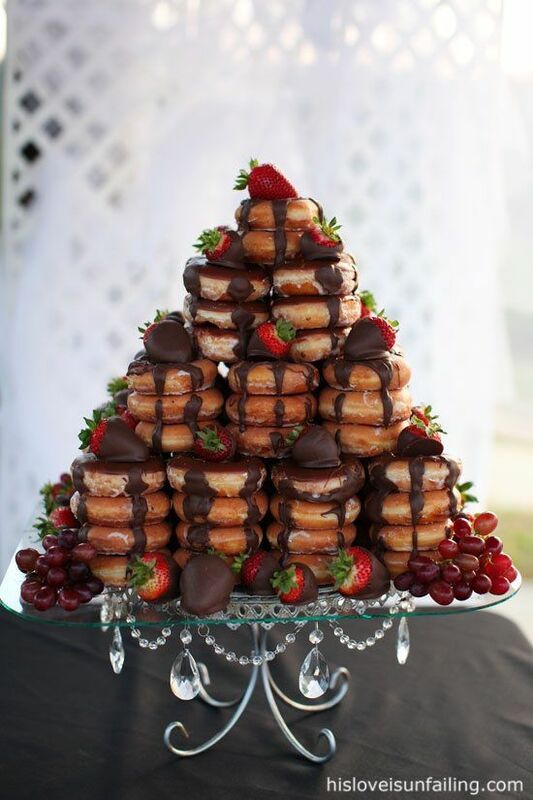 This donut pyramid is surprisingly beautiful! Donut Hole Mountains can also be gorgeous. Especially when combined with a floral arrangement. 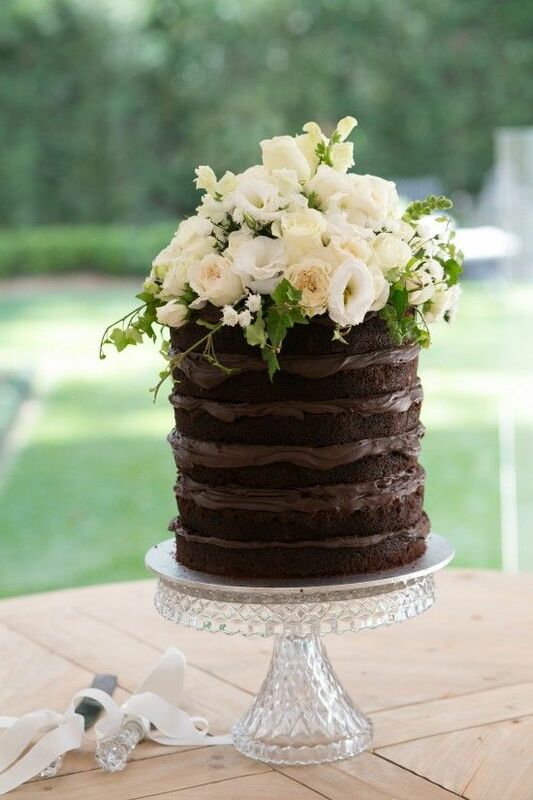 A simple, “naked” cake is stunning when dressed up with a nice hat!